Help your group to reduce their stress levels, prevent burnout, and live more resilient lives. Are your people feeling overwhelmed by life? Are they finding it hard – or impossible – to balance their work lives with their personal lives? Are their health, moods, and energy levels being negatively impacted by stress and pressure? Are they at risk for burning out? Dr. Susan Biali Haas can help your people to show up for work (and life) with more energy, enthusiasm, engagement and better mental health. Studies show that healthy, happy people create a more successful workplace environment and culture. They’re more engaged and less likely to burn out. Research also indicates that if your staff don’t have high levels of physical and emotional well-being, even if they’re highly engaged, there’s a good chance you’ll lose your best people. Dr. Biali is a world-class speaker who completely wowed almost a thousand women at our 5th annual Woman of Worth event. She was hands-down the most powerful speaker of the day, inspiring the audience to rave reviews with her candor, humor and passion. Dr. Susan Biali Haas is an award-winning Medical Doctor who is an internationally recognized expert in stress management, burnout prevention and human resilience. Dr. Biali Haas overcame burnout and depression at the beginning of her career, quickly becoming an internationally recognized influencer in health and well-being. With over two decades spent studying wellness and resiliency, eighteen years of clinical experience with thousands of patients, and more than ten years coaching clients worldwide, Dr. Biali Haas is exceptionally skilled at equipping people to live better lives. As a popular blogger for Psychology Today, Dr. Biali Haas’ posts have attracted more than 7 million views.She has been featured on The Today Show and The Marilyn Denis Show, and her opinions have appeared in Oprah.com, Forbes, Fast Company, The Chicago Tribune, Self, Fitness, Health, Martha Stewart Living, People, InStyle, Elle, Prevention, The Washington Post, The New York Post and The Globe and Mail. 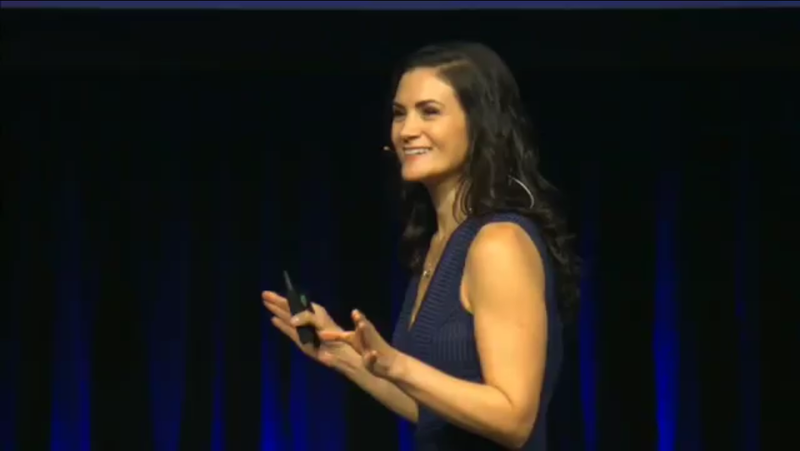 She coaches a broad range of clients from around the world — from military leaders and senior executives to physicians and other health care professionals — to take control of their mental and physical health and live more impactful, meaningful lives. Whether leading an intimate workshop or delivering a rousing keynote to thousands, Dr. Biali Haas shines as a passionate teacher. For over 15 years a variety of organizations, government agencies, associations, and universities have invited her to speak, spanning North America from Canada’s Yukon territory, across the U.S. and into Mexico. Her clients include organizations such as TD Bank, Raymond James Financial, Rodan & Fields, Barron’s, the State of Georgia Department of Human Resources, the State of California Office of Child Abuse Prevention, Alcon, SunLife Financial and others. Dr. Biali Haas has been recognized as a Professional level member of the Canadian Association of Professional Speakers (CAPS), the National Speakers Association (NSA) and the Global Speaker’s Federation. Excellent! Thought-provoking and with real solutions. Sample Speaking Video: Watch Dr. Biali Haas speak! I have known something was up with me, I know now that I need to see my doctor. It is either burnout or depression, as I have many of the symptoms you discussed. It made me cry at the realization – thank you. The audience was captivated as Susan shared from her life experiences and education, in such a way that everyone in the audience could identify with her, while self-reflecting on their own lives. Susan’s magic, her gift, is in her truthfulness. That integrity IS inspirational and is what makes Susan such a dynamic and powerful speaker. Mindfulness is most purely defined as a state of being conscious or aware. In order to be maximally effective, a mindful leader must cultivate deep awareness of how to lead themselves, in addition to leading their people. Drawing from almost three decades of study in the areas of health and wellness, positive psychology, personal development and workplace well-being, Dr. Biali Haas will teach your leaders how to harness the power of awareness across the spectrum of their personal and professional lives. We all need to reclaim our life and maximize our health – thanks for showing us the way. Dr. Susan Biali’s refreshing enthusiasm for life shines through in her presentations on life and wellness. I’ll never forget the day one of her seminars not only packed the room she was speaking in but drew an overflow crowd listening just as intently outside the door! Her inspiration is both engaging and infectious. Susan is a breath of fresh air! She has a natural ability as a speaker and facilitator to connect with everyone and engage her audience from the first moment to the last. Her amazing life story is woven throughout her topic which makes you want to listen and pay attention to what’s next. A rare and lovely woman who really practices what she preaches. Your presentation on ‘Lived Experience: Provider Burnout and the Role of Self-Care’ was profound. Thank you for being so open about your experiences. We are grateful for your time and effort in sharing your expertise with the conference attendees and for sharing the day with us. Dr. Susan Biali was an incredibly engaging speaker for our staff. Her principles of wellness and balance were presented in such a personal manner, making her ideas inspiring yet tangible. Her presentation received such positive feedback from our staff members – many told us that her words deeply resonated with them. Dr. Biali was an absolute pleasure to work with, we would love to have her speak to our staff again!